As a student activist in her suburban Milwaukee high school, Amy Pincus protested the 1970 Kent State shootings a few days before graduation, then spent the summer in Boston, working at a free school to educate people about the war. In the late 70s, she used a small inheritance to launch the Wisconsin Community Foundation, a funding source for social-change organizations, on the model of the McKenzie River Gathering. "They've just celebrated their 25th anniversary," she notes. After 10 years of rural life on 40 acres in Deadwood, Oregon, she and husband Steve Merwin moved to Eugene in 1990 to further his education and that of their two children. 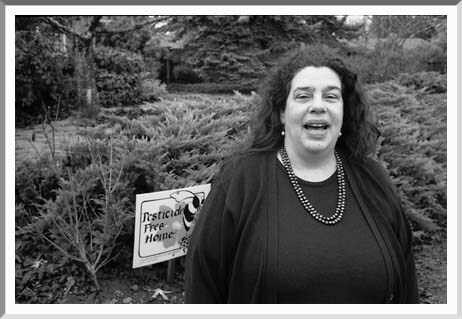 For five years in the 90s, she edited and published the monthly journal Healing Currents. "Each month had a topic and articles by people with progressive solutions," she says. "The magazine supported itself but not me." Merwin's goal in the new century is to provide diversity of opinion on the public airways. Catch her interview program Informed Radio, on the air since 2002, at 6:30-7 on Mondays, and her new call-in show Informed Talk, at 5-6pm Fridays, both on KWVA, 88.1 FM.